Over her last three features, Danish director Susanne Bier has inserted tough moral and political issues into weepy melodramas, either shamelessly exploiting real-life crises or explaining their import in an entirely new way, depending on how attuned the viewer is to her thickly sappy sensibility. 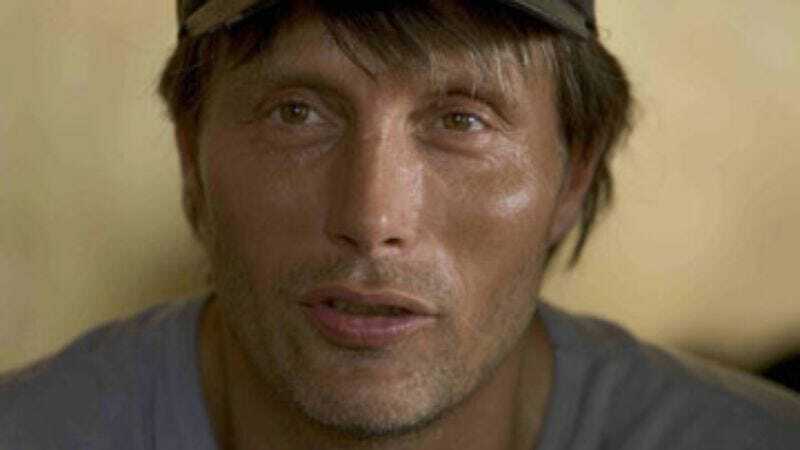 In After The Wedding, Mads Mikkelsen runs an Indian orphanage that's in danger of closing, which would send his urchins back into the streets of Calcutta to become child prostitutes. So Mikkelsen flies back to Denmark and makes a proposal to boozy, surprisingly generous fat-cat Rolf Lassgård, who asks only that Mikkelsen stay in town a few days and attend his daughter's wedding. When Mikkelsen arrives, he discovers—by pure coincidence, or perhaps by Lassgård's machinations—that Lassgård's wife (Sidse Babett Knudsen) is the ex-girlfriend Mikkelsen fled home to get over, and the bride may be Mikkelsen's biological child. Wait, wasn't this supposed to be a movie about crippling Third World poverty? Bier and screenwriter Anders Thomas Jensen don't completely abandon that front. From time to time, when Mikkelsen is at his wits' end from marching to the tune of a capricious millionaire, he conjures up the face of his favorite orphan back in India, whose birthday he promised to be home in time to celebrate. Then one over-the-top crisis after another pops up, distracting Mikkelsen from the deeper rewards of global charity. At the same time, it's hard to argue that pop confections like After The Wedding don't adequately lay out the stakes of social inequity, even if only on a negligible personal level. With its soapy earnestness and use of suffering souls as set dressing, After The Wedding could be the cinematic equivalent of a Coldplay song. And while that isn't necessarily a slam, it isn't a recommendation either.